The Forrest Hill Precinct is an urban renewal project on a remnant industrial site that largely housed the Pinnacle Yeast and Tetley Tea factory sites beside the South Yarra Station in Melbourne’s inner South. Forrest Hill is an area bounded by Toorak Road on the south, Chapel Street on the east, South Yarra station on the west and Melbourne High School on the north. Main thoroughfares are Claremont, Yarra and Daly streets. In December 2005, Stonnington Council adopted the Forrest Hill Precinct Structure Plan, which included the implementation of an east-west pedestrian link and enhancements to the streetscape, public realm and infrastructure to accommodate this new high-density activity. Since 2004 Bird de la Coeur has been intimately involved in the renewal of the iconic Yeast Factory site. We have designed 6 individual buildings, created a pedestrian arcade and have worked on improving connections to the Sth Yarra Station. In 2009 we were the recipient of several awards - the Australian Property Institute's Development Award and the UDIA Victoria Urban Renewal Award. 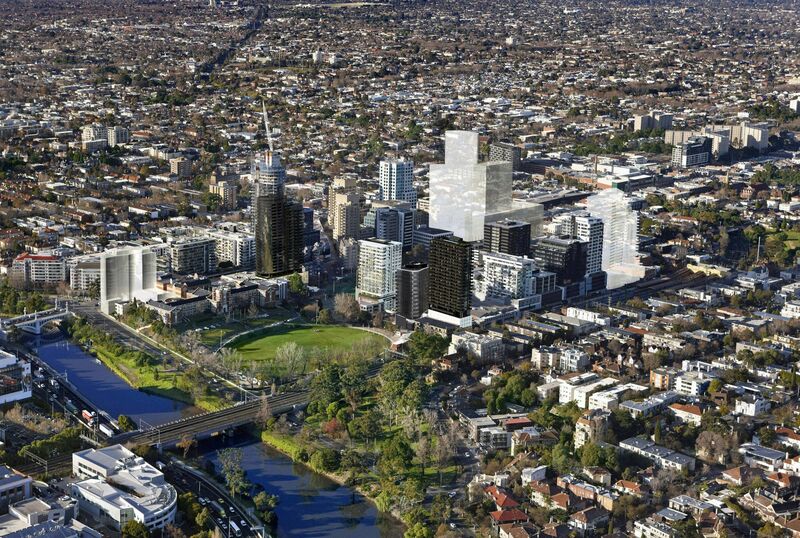 Neil de la Coeur says "The Forest Hill precinct is Melbourne's 2030 good news story. We're proud to have been involved from the out set". Now Yarra House joins the bulging portfolio of Bird de la Coeur’s buildings in the Forrest Hill precinct which includes 7 Yarra, 9 Yarra, The Claremont, 15 Claremont St, 3-9 Claremont St and Yarra Lane. Bird de la Coeur’s art-filled Yarra Lane, which links South Yarra station to Chapel Street, has become a local hub. It’s the grand vision of Michael Yates, who has attracted some of Melbourne’s biggest hospitality names, including George Calombaris, Davis Yu and coffee tsar Nathan Toleman, to the precinct. Coffee guru Malatesta was the first, opening Outpost in Yarra Street in 2009, quickly followed by MoPho Noodle Bar and Deba Sushi. In late 2012 The Age Good Food Guide awarded the area the ‘Bert Newton Award for the Dag Turned Cool’ and said ‘South Yarra got it’s long-lost dining mojo back thanks to the ClaremontStreet/Yarra Lane revival‘. 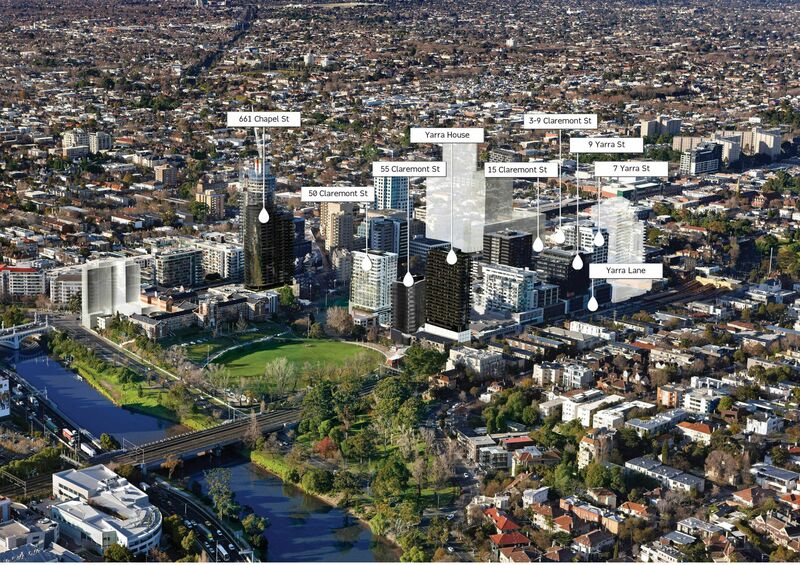 This hipster hub is the beating heart of a total $4 billion worth of development slated for the precinct. By 2018, 10,000 people are expected to live and work here. The location - next to the railway station, near major tram routes and close to arterial roads and the Monash Freeway - makes Forrest Hill a showpiece for Melbourne's urban consolidation. Michael L Yates and Co, Red C, Meinhardts, Hassell Interiors, Hecker Guthrie, Flood Slicer, Grenade.